AT&T has announced that they will start taking pre-orders on the Samsung Galaxy Tab E 8.0 from this Friday the 6th of May. The Samsung Galaxy Tab E 8.0 tablet will be available is a $0 up front payment and then followed by 20 monthly payments of $10. As a reminder the tablet comes with an 8 inch display with a resolution of 1280 x 800 pixels and the tablet features a Snapdragon 410 processor and 1.5GB of RAM. Other specifications on the device include 16GB of storage, plus a microSD card slot for expansion, the tablet also comes with a 5000 mAh battery and dual cameras. On the front of the tablet there is a 2 megapixel camera for video chat and on the back of the device there is a 5 megapixel camera for photos and videos. The device comes with WiFi, Bluetooth, 4G LTE and Android 6.0 Marshmallow. 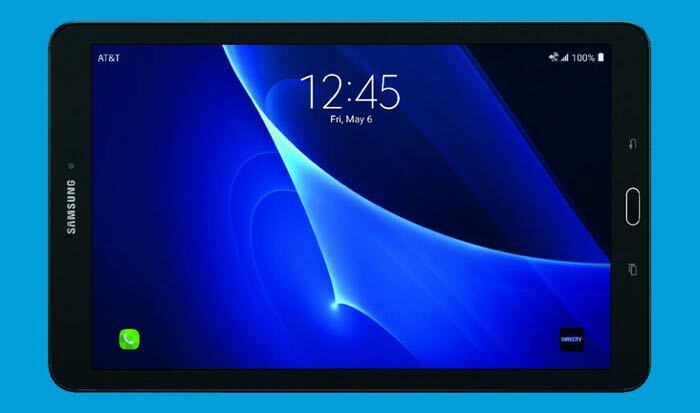 You can find out more derails about the Samsung Galaxy Tab E 8.0 on AT&T over at the company’s website at the link below.